Use our Wild Caught Alaskan Smoked Keta Salmon for this super simple meal any day of the week! 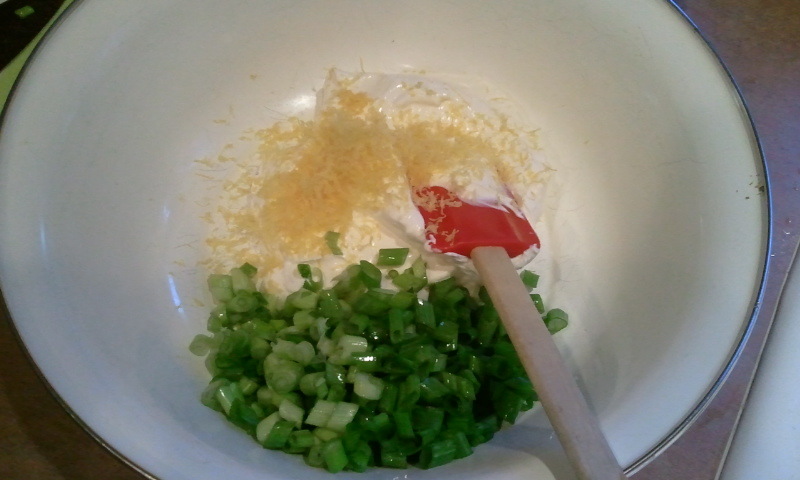 While pasta is cooking, combine the sour cream, green onions, lemon zest and juice, salt and pepper and combine. 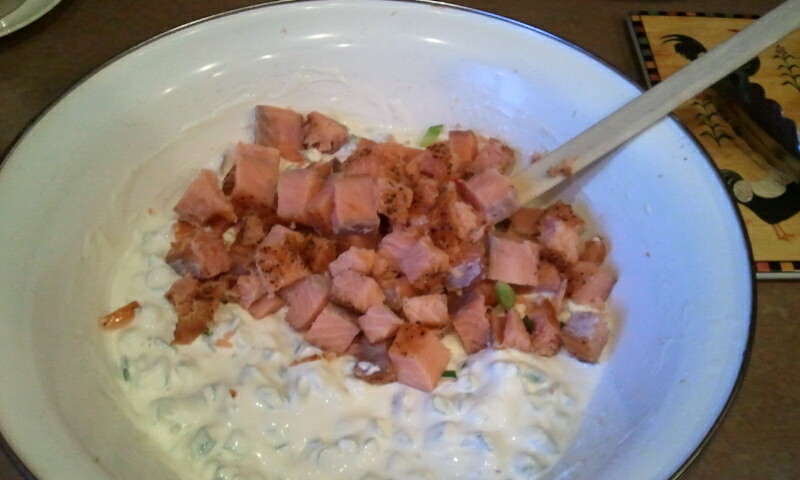 Gently fold in the smoked salmon reserving a few pieces of salmon and some green onion for garnish. 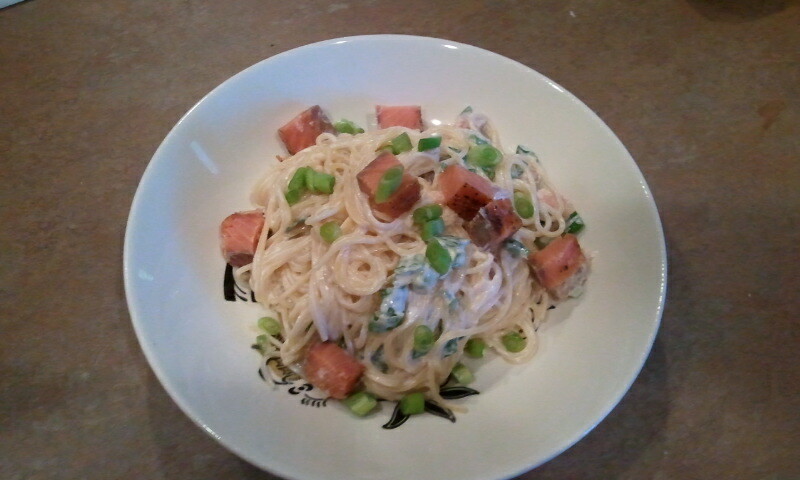 Add the cooked pasta, toss together and serve! Serves 4-6. This entry was written by admin, posted on November 28, 2012 at 11:27 pm, filed under Blog, Recipes, Wild Caught Salmon, Wild Caught Seafood and tagged home delivery of wild caught seafood, shop online for wild caught seafood and salmon, wild caught salmon, wild caught salmon home delivery, wild caught seafood. Bookmark the permalink. Follow any comments here with the RSS feed for this post. Both comments and trackbacks are currently closed.